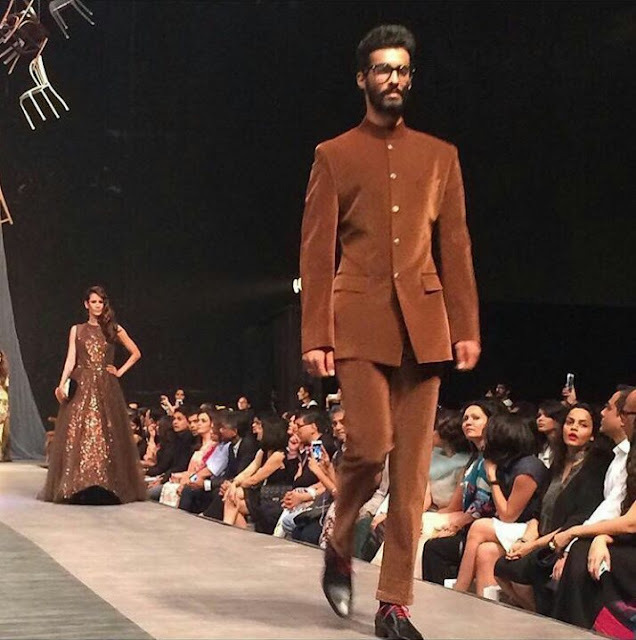 The year 2015, is a special one for Bollywood's favourite designer - Manish Malhotra. 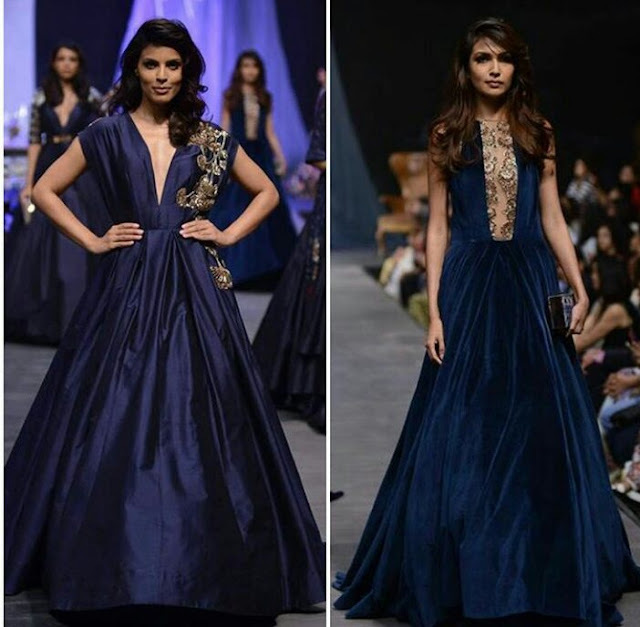 This fall, marks the designer completing a reign of 25 years as a costume designer and stylist, and a decade to the launch of his label - MANISH MALHOTRA. He's a legend, and his work truly a legacy. 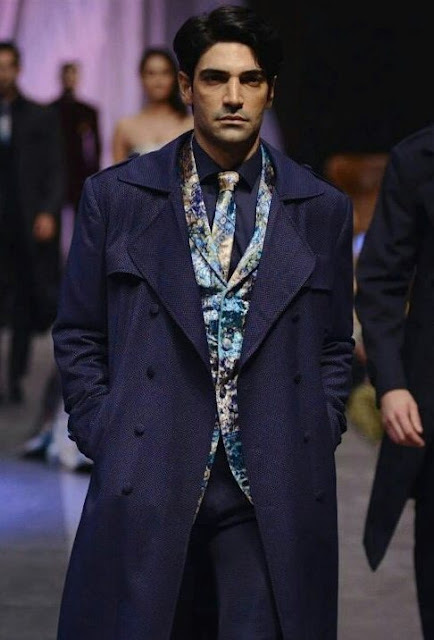 Last evening the ace couturier celebrated his success story and his passion for fashion by presenting his first ever menswear show - The Gentlemen's Club, at the Lakme Fashion Week, winter-festive 2015. Last week, the man had given us a sneak preview to his collection's stature, at the Palladium, when he with his men brigade had walked out of a Rolce Royce. The preview created quite a hype, but we have to admit that yesterday's show totally lived up to our heightened expectations. 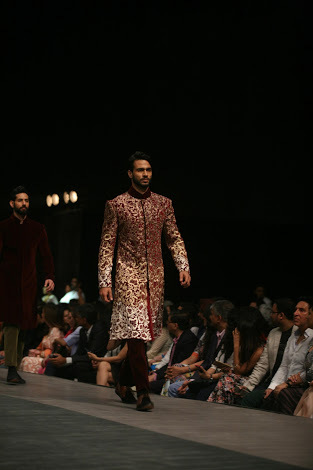 The brand Manish Malhotra, signifies grandeur, opulence, and royalty and the exclusive off-site show at the Mehboob studio justified his design aesthetics, just right. The show was grand and glamorous. The audience was greeted by a gothic and eerie ambience, with drones playing in the background and chairs dangling from the ceiling. A grand piano, placed at the centre added to the drama quotient of the setup. The music for the show was given by live musicians who played upbeat tunes and kept the models walking in hurried tempo. 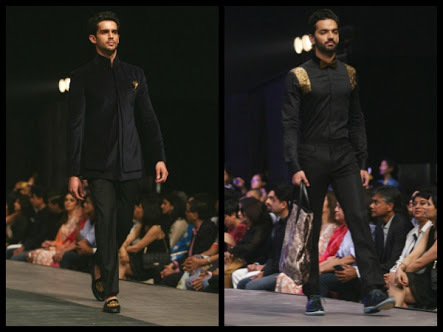 #thegentlemen'sclub line, an extension of Malhotra's couture line, is dedicated to the contemporary metro man. The collection showcased, was a fusion of indian and western wear, considering the coming festive season. 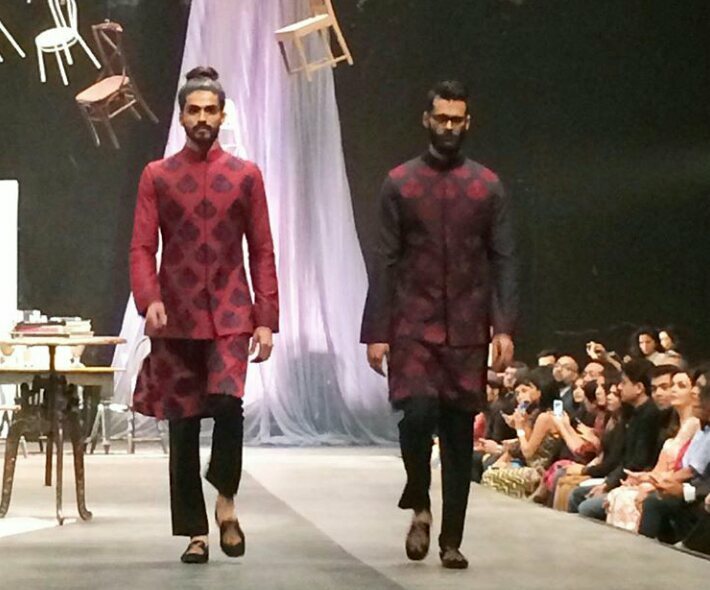 A 60 model bandwagon brought the collection to ramp, walking in fine silhouettes mostly suits, bandhgalas, and sherwanis. Malhotra being the lady's man, did have a few female models walk the ramp too, who looked more like glamorous props, placed essentially to accentuate the charm of the superheroes of the hour. 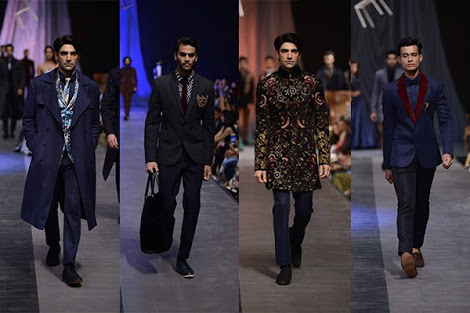 The high scorers of the collection were the tuxedos with dull gold botanical motifs, the botanical printed bandhgalas, trench coats paired with printed silk waistcoats and suits done in velvet. 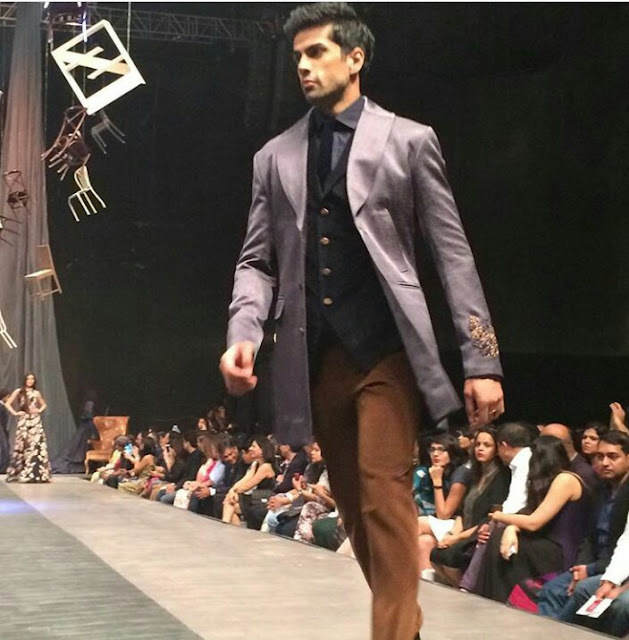 An exclusive officer's collection had the models walking in formal suits in sharp cuts and fits. The color palette for the collection revolved around warm winter shades of grey, brown, maroon and black, but the color emerald was the stand out color of the collection. 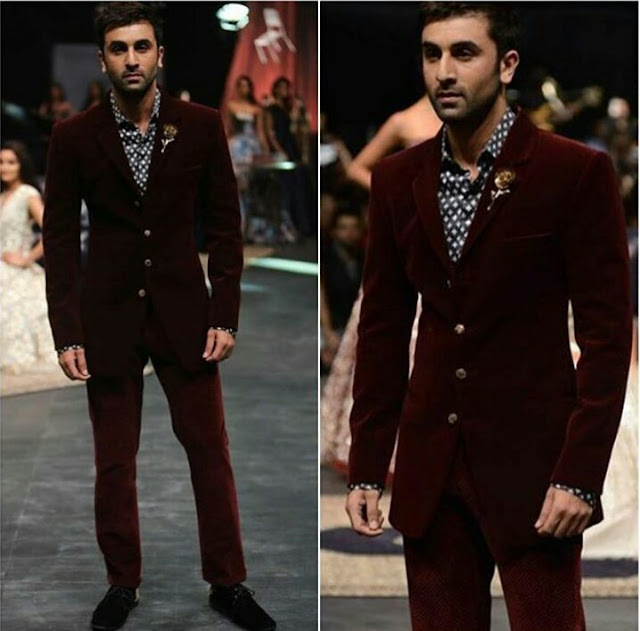 The highlight of the evening was the showstopper - Ranbir Kapoor, who perfectly defined Malhotra's image of a “ debonair man ”. The star walked the ramp in a maroon velvet suit with penache and class. 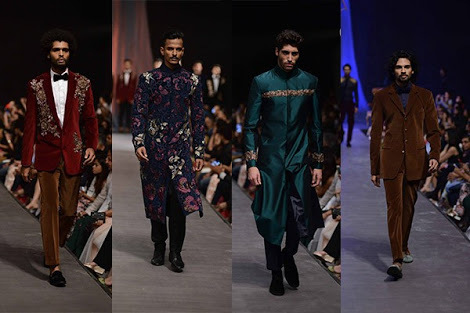 The show as expected was a star-studded one, witnessed by a lot of B-Town biggies, who were present to commemorate and congratulate the designer for his impeccable 25 year old journey. The list of attendees included Karan Johar, Sharaddha Kapoor, Urmila Matondkar, Ayushman Khurana, Sooraj Pancholi, Tamanna and many more. With this new venture the man has made it loud and clear that, he is not done yet and is here to stay and surprise us with more. 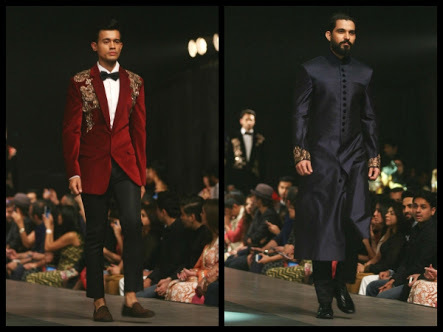 Below are few of our favourite looks from the show.